Famous Australian Investigative Journalism Program Four Corners, recently dedicated an episode to questions surrounding the institutional response to child abuse victims. Just why did this sexual abuse happen? How could institutions have allowed predators to re-offend? Why were victims targeted by church lawyers? Who was responsible for this strategy? 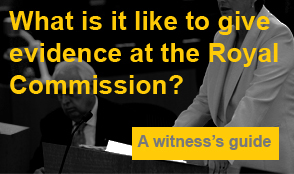 After speaking to victims, their families, church representatives and whistleblows, it becomes clear that the key objective of the church has been to minimise the financial costs of these case. The results are clear. The incompetence is stark. The inhumane ethos of the church’s senior management is chilling. The program is well worth watching, the story is well worth telling.